La Rocheure is a traditional old Val d’Isère farmhouse, with a complete and beautiful renovation it retains its original charm by the use of local wood and stone, with sections dating back to the 17th century, but also offers a modern and stylish home-from-home. The chalet is decorated to a high quality finish throughout, with a high ceilinged open-plan lounge and dining area, with a flat-screen TV and DVD player, so don’t forget to bring your favourite films. 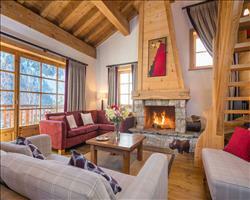 Huge windows open onto a balcony with superb views of Val d’Isère and the Solaise Mountain. La Rocheure has the perfect location for skiers, offering quick and easy access to the lifts in the mornings and you can ski back to the door under normal conditions, on the red ‘Olympic’ piste. It is also close to the resort centre for Val’s famous après ski, just a few minutes’ walk across the piste, or ride the free resort shuttle, that runs until 8pm. Chalet entrance. Living/dining area with large picture windows, log fire and balcony, wc. Twin/triple under the eaves with bath/wc and private mezzanine. We update Chalet La Rocheure's details often, but facilities do change. e.g. some extras listed by the supplier as "free" or included might only be for the first time you use them, or for one time per party, then charged for further use. If any specific feature is essential to your holiday, make sure you ask us to confirm the details of it before you book your holiday. This package holiday to Chalet La Rocheure in Val d'Isere, France departs Sunday 5th January 2020, for a 7 night stay on a "catered chalet" board basis. A local tourist tax (Taxe de Sejour or Kurtaxe) is levied by many councils in European ski resorts. It varies by standard and type of accommodation and is age dependent, so not everyone is charged. It's not included in the basic price of your holiday and is usually paid locally. For reference, the average charged in winter 15/16 was between 50p and £2 per person, per night. Val d'Isere lift pass price last reported as €294 (adult 6 day). Ask for a quote when booking Chalet La Rocheure. 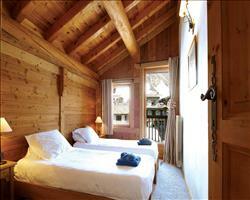 Chalet Hotel Ducs... Val d'Isere France, Gatwick to Chambéry 5th January. 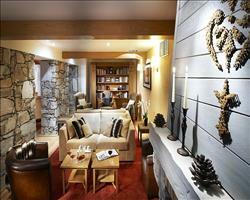 Chalet Bonneval Val d'Isere France, Gatwick to Chambéry 5th January. 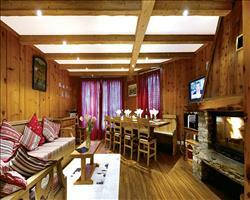 Chalet Bonnevie Val d'Isere France, Gatwick to Chambéry 5th January. 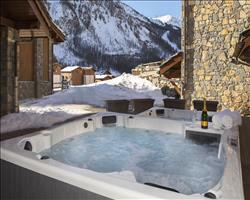 Chalet Hotel Le V... Val d'Isere France, Gatwick to Grenoble 5th January. Chalet Du Berger Val d'Isere France, Gatwick to Chambéry 5th January. 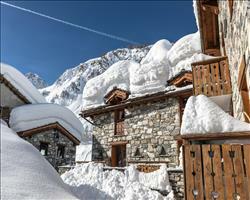 Chalet Madrisah Val d'Isere France, Gatwick to Geneva 5th January. 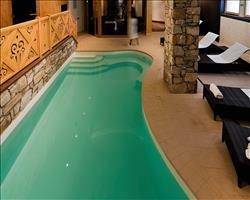 Chalet Klosters Val d'Isere France, Gatwick to Geneva 5th January. 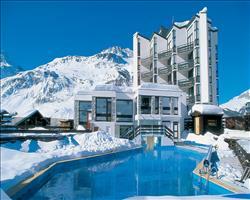 Chalet Hotel & Sp... Val d'Isere France, Gatwick to Chambéry 5th January. 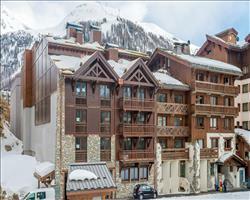 Chalet Hotel Le S... Val d'Isere France, Gatwick to Chambéry 5th January. 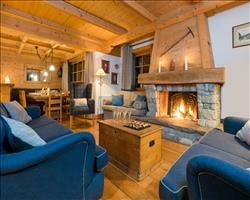 Chalet La Grande ... Val d'Isere France, Gatwick to Chambéry 5th January. We stayed here as a group of 5 friends in January. It was a good chalet all round. This is a chalet which oozes traditional charm - it’s a recently refurbished traditional farmhouse – and it has a fabulous central location. Under normal snow condition you can ski back to the door each afternoon, and in the morning the Solaise chair is less than a five minute walk way, even in ski boots! The resort's famous night life is just a few minutes walk away, but it's not close enough to keep you awake if you choose not to partake, and the shuttle that accesses the rest of the resort stops just outside and runs late during the high season.